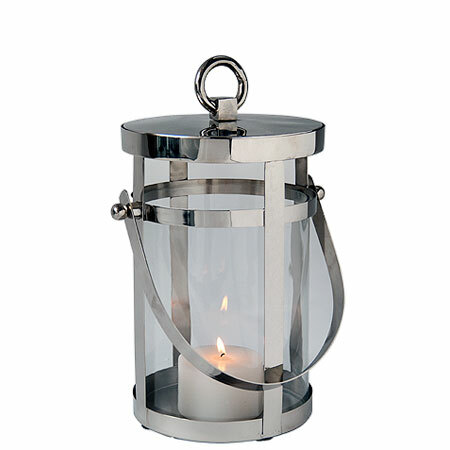 The Cottage Handle Decorative Outdoor Lantern is made of stainless steel and finished in polished nickel, has glass panels and has a large hinged panel that opens and allows for large candles. These traditional lanterns are found all over the Riads in Marrakesh and Fez, and are great to light the entrance, the yard, or simply cluster around the pool and watch them come alive after sunset. 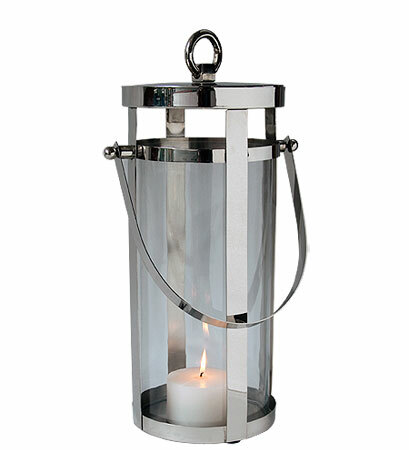 The double encased and rounded handles allow comfortable carrying. 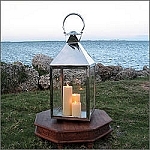 This lantern style is a South Beach favorite and can be seen all over at The Shore Club in Miami Beach.